Alongside the video, he said: "This is the shameful moment when my cameraman Ron Skeans was attacked by Donald Trump supporter in El Paso - after the President repeatedly goaded the crowd over supposed media bias". The Donald Trump supporter could be seen being restrained after the incident. He has often branded reporting he doesn't like as "fake news" and said that journalists are enemies of the people. Theresa May has responded to Jeremy Corbyn's letter setting out his five demands for a Brexit deal. Mrs May's statement to the House of Commons is being made a day earlier than had been expected. Mr O'Donoghue added that he thinks President Trump's 2020 election campaign will be as "hostile and ill-tempered and divisive as the one we saw last time". 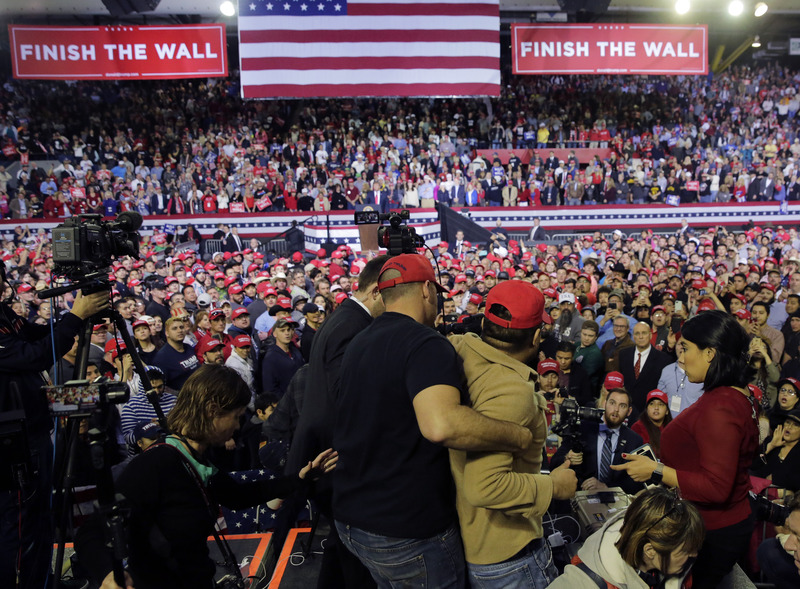 And they made clear that Mr Trump's long-promised border wall is sure to play an outsized role in the presidential race, as both sides use it to try to rally their supporters and highlight their contrasting approaches. She added: "To all those who asked after the cameraman - Ron is fine". According to BBC, a Trump campaign official suggested that the man causing the violence was drunk.